This is a steel fragment generated by grinding that was heated sufficiently to oxidize on the surface. The colors on the particle are the thin film interference colors created by the surface metal oxides. This indicates that the particle was created in the atmosphere and not in the oil filled transformer. 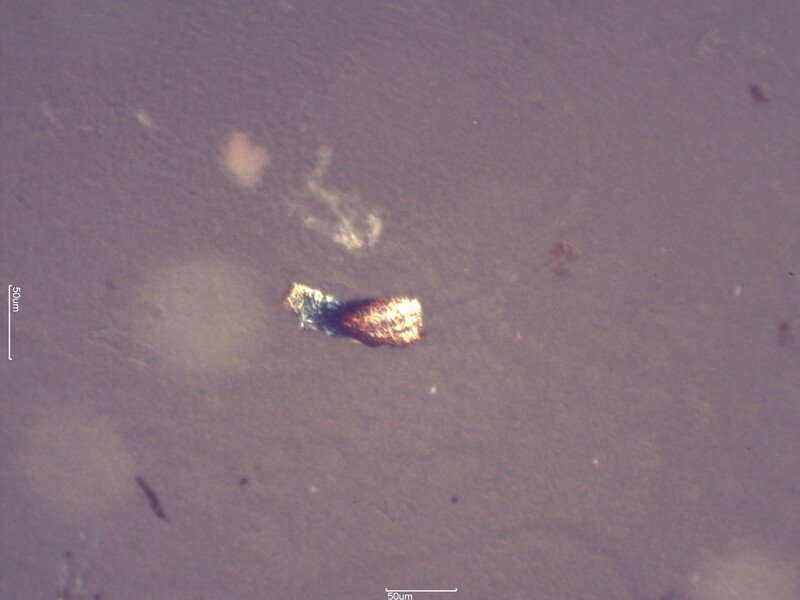 Metal fragments are often seen in oil samples. In this case the surface oxide films indicate creation in the atmosphere and not in an oil filled environment. Metal particles such as these are typically a manufacturing residue. They may be introduced during rework or from nearby work if the transformer is air-breathing.